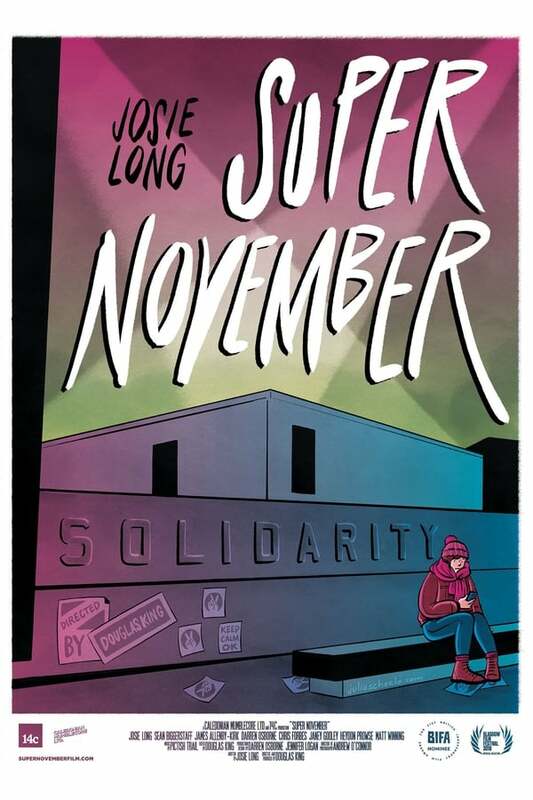 Filmed on the kind of budget that makes shoestring seem extravagant, Super November is a hugely ambitious mixture of mumblecore-style romantic comedy and Orwellian dystopia. Clydebank librarian Josie (Josie Long) is all loved up and has found her soulmate in the equally besotted Mikey (Sean Biggerstaff). Six months later, the bubble has burst and things are very different, as the country has plunged into a political crisis, there is civil unrest on the streets and normality is a distant memory. Welcome to the harsh, fast changing landscape of the real world.